The iHome SP6 and iSP8 SmartPlugs push a lot of the right buttons. 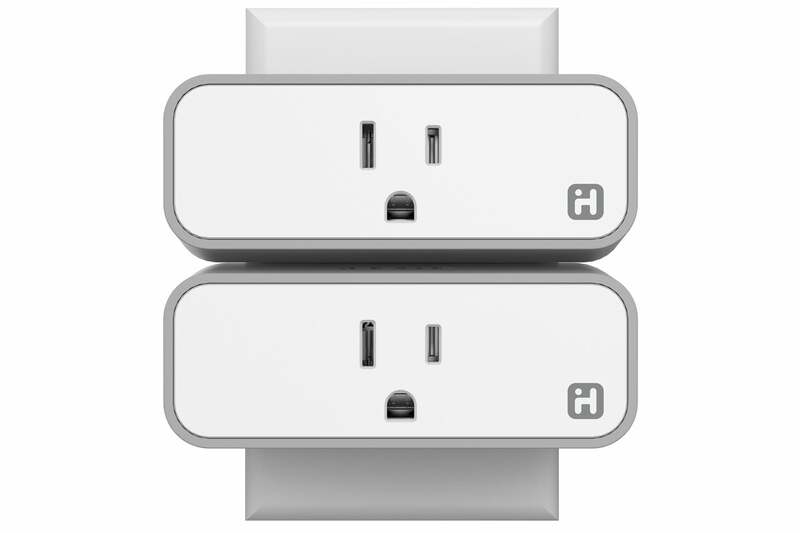 First off, their horizontal oblong form factor allows another plug to fit in above or below in a conventional two-outlet fixture. You can even plug two SmartPlug units into the same fixture without a squeeze. Second, while it has its own account-based remote access and management, allowing scheduling, it’s also ready for HomeKit for iPhone and iPad users. This offers maximum flexibility depending on which system you use and what might change for you in the future. For remote access, HomeKit requires a third- or fourth-generation Apple TV; for automation and to add access for other iOS users, the network must have an iPad or a fourth-generation Apple TV set up as a hub. The iHome also works with the Alexa, SmartThings, Wink, and Nest smart home ecosystems. Third, it’s very easy to set up, avoiding a complicated dance of Wi-Fi network swapping required for competing devices. 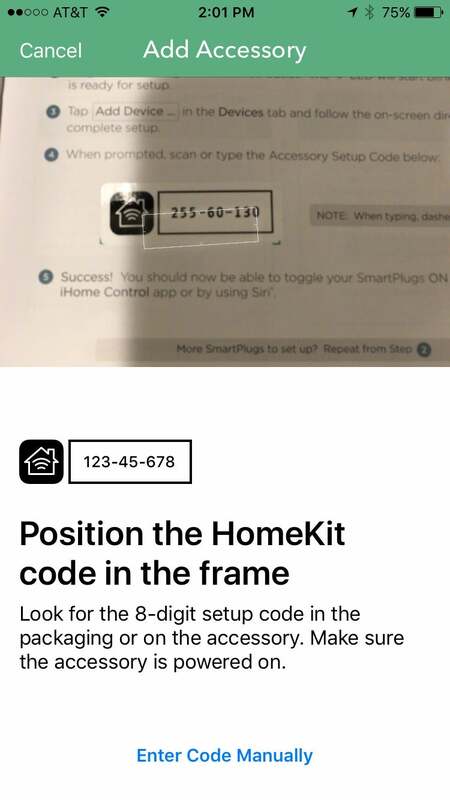 In iOS, it took just a moment to pair with the device via the iHome app, which can scan a smart-home accessory setup code for the validation step. The maker conveniently puts the code in the manual as well as on the device. Adding devices via the app makes them available to the iOS Home app. Both the iSP6 and the iSP8 are narrow enough that you can plug two in the same receptacle. The simple but attractively designed SmartPlugs use colored visual indicators during setup, but those symbols provide meaning afterwards, too. A Wi-Fi network icon remains green while a network connection is active, while a white plug icon lights up when the unit has power flowing through its outlet. A manual on/off button, which doubles as a way to reset the unit, is flush on the left side. For most outlets, I have to believe it would be inconvenient to reach the button, where one on the front—like most of its competitors—would be more readily accessible in a pinch. It’s as easy as point and shoot to verify adding an iHome device to its app. The remote relies on RF, not Wi-Fi or Bluetooth, and it has a stated 35-foot maximum range. That makes it handy within a single room, but it seems both like too much (another thing to manage) and too little (it works only with a single iHome switch). I can’t imagine spending $49.95 to control a single lamp, so the remote’s utility seems out of place. For everything else, I’d think either a switch on the electrical device or a smart-home app or system would be the preferred methods of operation. A four-button remote ($19.95) can be purchased and paired with multiple switches of the models we tested, however, which may fit home scenarios better. The iSP5, not reviewed here, is slightly more compact and can’t be controlled by an iHome remote, although it’s priced the same as the iSP6 at $39.99. To view power consumed, you must use the iHome app to select the info (i) button next to a SmartPlug, and then tap one of the Statistics options. A Real-Time Consumption item shows current wattage. I’ve never been sold on single-outlet power-usage tracking, as they don’t reveal comprehensive details about your consumption. But because these iHome devices allow a pull of up to 1800 watts, you could track an air-conditioner or dehumidifier’s drain. 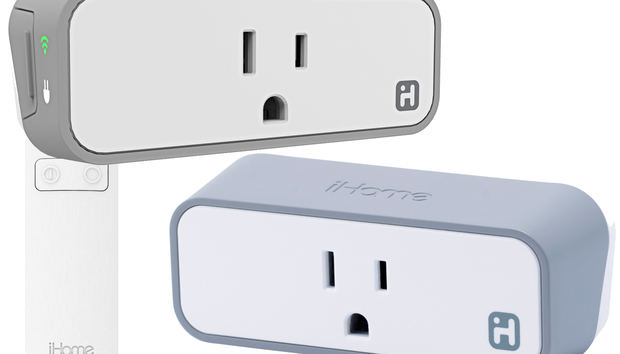 Both power usage and the physical remote require creation of an iHome account. For those who want their smart-home gear to communicate only locally as much as possible or, at most, use Apple’s secured HomeKit and iCloud-connected systems, this might make those extra features, plus iHome-based scheduling and access sharing non-starters. The pricier iSP8 comes with a one-button remote control, but that feature doesn't add a lot of value. The account also lets you use the app to set up scenes, though in my testing, a HomeKit scene also appeared and the app generated an error when it was selected (“unable to communicate with your accessory”). That scene works fine in the Home app. The app can create rules with optional triggers for plugs and other iHome devices. For instance, you could program outlets to shut off overnight for devices that are never in use. 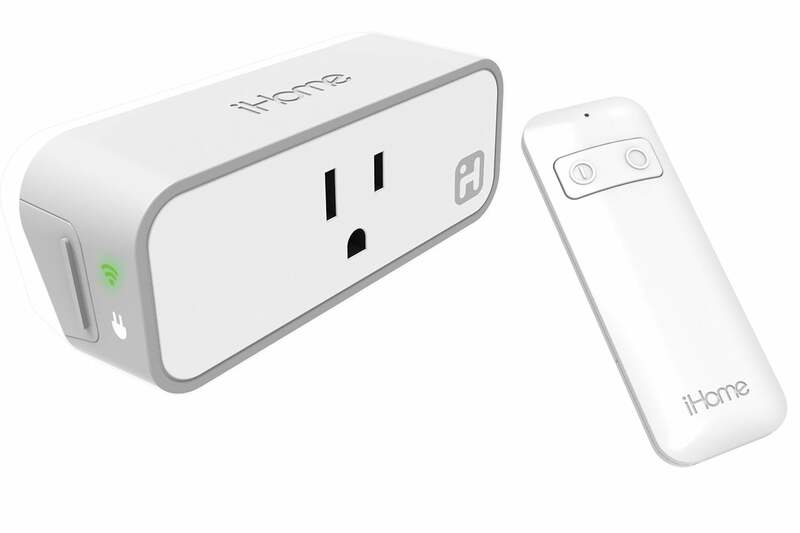 HomeKit and non-HomeKit users alike will find the iSP6 and iSP8 SmartPlugs the right combination of features and price to add one or more controllable outlets that can also be scheduled. I recommend the standalone SmartPlug, rather than the bundle with the remote, or purchasing multiple SmartPlug units and the four-unit remote control a la carte.